Speed Queen is the world’s number 1 industrial laundry. In this article, you will learn the main ways of washing a carpet. Leather is a delicate and expensive material. It therefore requires regular maintenance as this is the only way to keep it in good condition over the long term. To treat leather properly, it is not always necessary to invest in stain-removing products or balsams. Some household tips will do the trick, ensuring it keeps its shine in spite of daily wear and tear. Marseille soap is a natural product that is very effective for cleaning leather, regardless of its color (dark, light, white). To use it, dip a washcloth or a cotton cloth in a mixture of water and Marseille soap. Wring it out, then pass it delicately on the leather using a circular motion. However, be careful not to rub too much to avoid damaging the leather. Repeat this process, but this time with clear water to rinse, then dry with a clean cloth. Pass a cotton or soft cloth soaked in cleansing milk in a circular motion over the entire leather surface. To help the absorption of the product, add a few drops of white vinegar, then rub gently. In addition to its cleansing effect, white vinegar is recommended because it helps maintain the gloss and color of the leather. To clean a couch, shoes, a purse or a leather jacket, always use cotton cloth. To remove stains, gently rub them using a circular motion or by blotting. After rinsing, dry the leather at room temperature, away from heat sources so that it doesn’t harden. 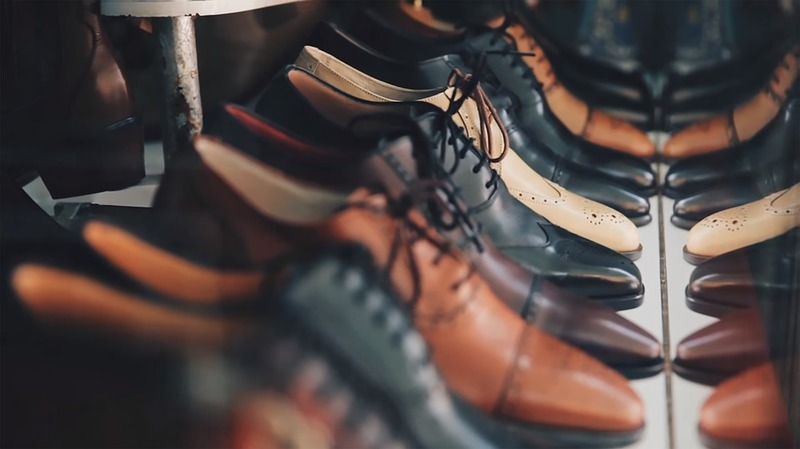 If you have leather shoes, don’t wear the same pair every day to as to avoid damage to the leather from moisture and perspiration. To preserve the shape of your leather shoes, especially when they have gotten wet, use shoetrees. Not only do they remove moisture, but they also air the leather. Washing leather in a machine is not recommended. For other materials, use one of our self-service laundromats: Speed Queen machines are built using the same materials as the professional washing machines you find in industrial laundries and luxury hotels.